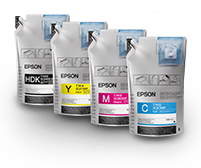 An evolution of Epson dye-sublimation technology that allows you to produce colourful textiles more quickly and at an even higher quality. 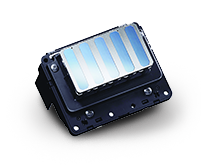 Epson knows that productivity is key, which is why we develop our technology to deliver optimal performance and avoid downtime. 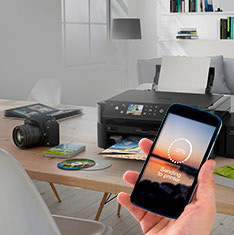 With the SureColor SC-F9300, you can be assured that all components – hardware, inks and software tools – work perfectly together to achieve exceptional print quality. 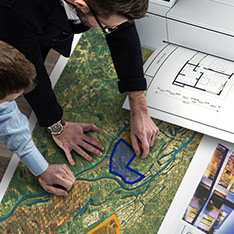 When choosing a printer, you’re making a decision that could greatly impact your future business. 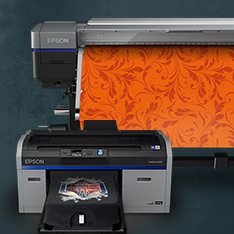 Whether you rely on unwavering productivity for high-volume sports apparel printing, or achieving stand-out quality on the most intricate details for fashion and home decor, the SureColor SC-F Series of dye-sublimation printers can help unlock the potential of your business. Achieve high productivity for large quantities of football shirts, cycle wear, swimwear and more, all in standardised designs you can rely on. 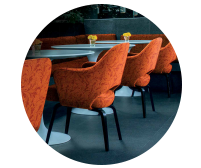 Meet the most exacting requirements in the production of curtains, blinds, upholstery, cushions, ceramic tiles or any hard substrate using a polyester coating. 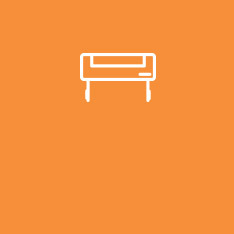 Interior designers and brand owners can be assured both high quality and sharp, photorealistic detail, well suited to decorating any commercial or domestic space. Produce all sorts of promotional items with ease and give a high-quality personal touch to phone cases, bags and mugs, among many other things. 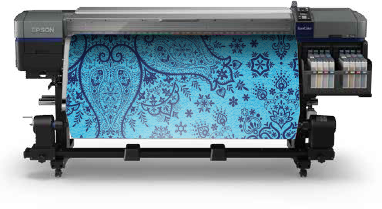 Photo labs, online retailers and manufacturers can be proud of their high-quality products while assuring a low total cost of ownership, thanks to the SureColor SC-F dye sublimation series. 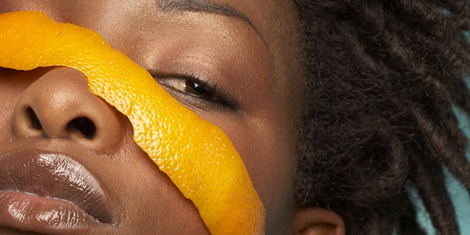 Let your creativity run wild with a wide colour gamut and high-quality results. For fashion designers and entrepreneurs, the SureColor SC-F dye sublimation series delivers colour stability and high definition blacks, and is easy and quick to maintain. This makes it ideal for dynamic and demanding production conditions for a wide range of textiles, regardless whether you’re printing a single catwalk garment or a longer run. Make sure your message is understood with large format signage that really stands out. Now print service providers, repro shops and advertising houses can use increasingly popular polyester fabrics to create soft signage. 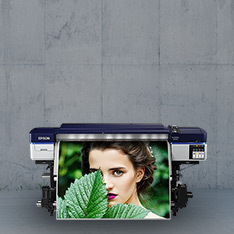 Epson UltraChrome DS inks produce vibrant colours, sharp contours and smooth gradations, with excellent light and wash fastness, and outstanding abrasion and perspiration resistance. 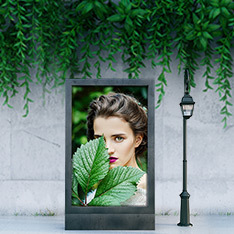 One of the latest developments in our image-processing technology, PrecisionDot high-quality mode combines three applications (Half Tone Module, LUT and Micro Weave) to offer the best possible results. 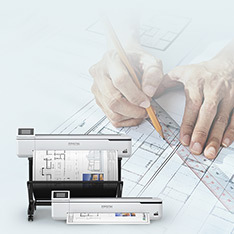 The Epson PrecisionCore TFP printhead produces exceptional image quality thanks to its 360dpi printhead nozzle configuration, producing a maximum resolution of up to 720 x 1440dpi. Made with laser-welded frames1, precise imaging technology and employing advancements from Epson’s own robotic solutions, each printer demonstrates Epson’s total commitment to delivering quality. 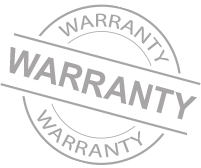 In the unlikely event of a problem with your SureColor SC-F series printer, you’re covered by a one-year warranty as standard, with the option of extended coverage. 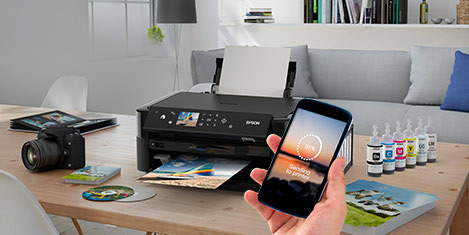 Epson's Edge Print software offers enhanced control of print output. 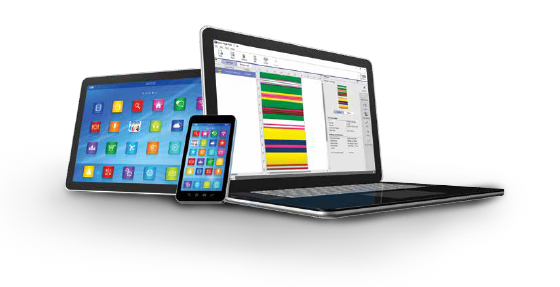 Simply install the hardware and RIP software and gain access to features, which include preview, hot folder, copy, trimming, nesting tiling and step and repeat. 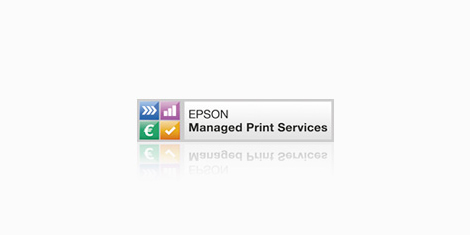 Edge Print works intuitively with other Epson tools, such as the browser-based Control Dashboard2, which allows you to set up customised print settings quickly and easily. 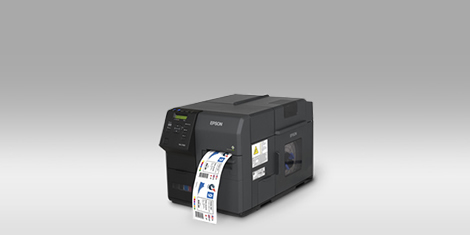 Epson’s LFP Accounting Tool also helps you calculate the value of each print, based on ink and paper consumption, allowing you to cost each job accurately. Laser weld only available with SureColor SC-F7200 and SC-F9300. Control Dashboard is currently only available with the SureColor SC-F9300. 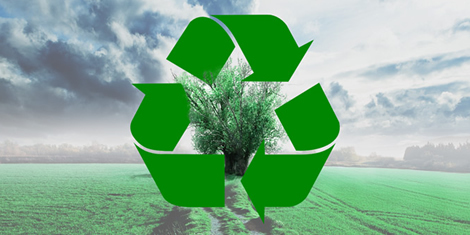 1 ECO PASSPORT by OEKO-TEX® is a system by which textile chemical suppliers demonstrate that their product can be used in sustainable textile production. 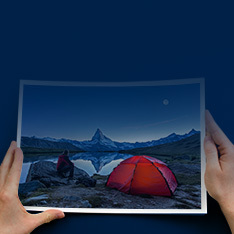 Epson UltraChrome DS ink and pre-treatment are certified by the Eco Passport. This is an international safety standard in the textile industry. It is certified to be safe for adults and children, including babies.